Interesting observation. Yes, some would argue so. On a side note, removing some context makes your statement more to the point, albeit perhaps a different point. Don't you like it better like that? To the common man (yep, that is myself), there is no conflict between creation and evolution. One can be part of the other. God (assuming she is out there somewhere) must have had some interest in how a random system, intermixing survival instincts and free will in countless instances, might develop. There can be no other reason (assuming there is reason at all). Flat earth theory disproved in one photo. Well, depends. Fundamentalist creationism...young earth, dinosaurs being ridden by cavement, etc, IS in direct conflict with Evolution. 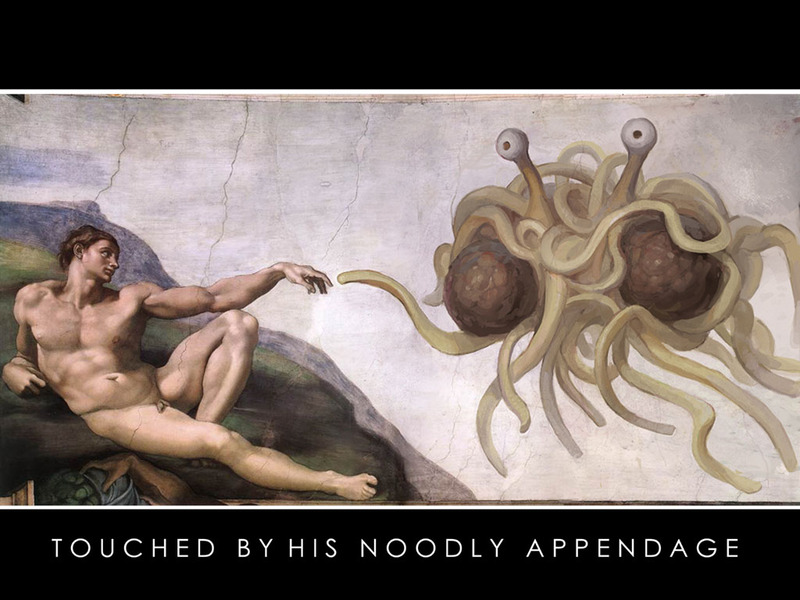 HE created EVERYTHING....with his noodley appendage. 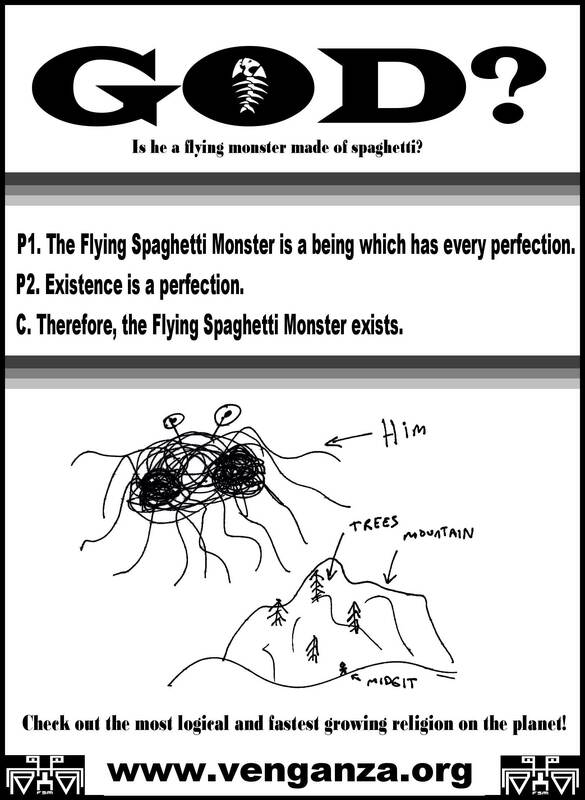 All hail the Flying Spaghetti Monster, our lord and savior. Fast plate tectonics anyone? 2 meters per second... Wow..